There are fears that major disruption to Aberdeen’s bus services could return next week with a driver shortage looming over the city. Scores of First Bus staff are expected to be off the clock next week due to holidays or long-term sickness, and it is understood many of the remainder are unwilling to pick up the slack because of slashed pay rates. This had led to concern that some services could be cancelled as a result, but First Aberdeen has said “a number” of contingencies are in place to limit this. A protracted dispute between the transport operator and unionised bus drivers broke out earlier this year over changes to their terms and conditions. A total of 10 days of strike action was held as members of Unite claimed that signing the new contracts would be akin to agreeing to a £5,000 pay cut. Last month a “final offer” was accepted by 60% of members to end the row. This included a reduction in overtime rates. Previously drivers picking up shifts on a Saturday, when they were scheduled to be off, were rewarded with 2.25 times their usual hourly rate. It is claimed that the new rate could be up to £7 lower per hour. Unite regional organiser Willie Wallace said: “It doesn’t surprise me (that workers are turning down additional shifts) as the company, in its final proposal, reduced the overtime rate. The union’s First Aberdeen convener, Graham Gavin, added: “I know we are quite a number of drivers short at the moment. 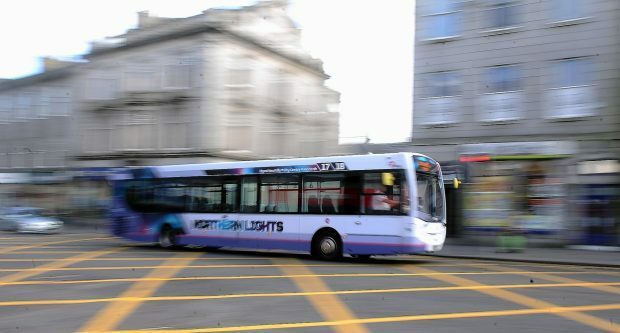 David Phillips, the First’s operations director, said: “Staff shortages and absences due to illness or any other reason are part of the everyday challenges we are faced with as the number one provider of city bus operations in Aberdeen. He added: “First Aberdeen agreed a new terms and conditions package for all drivers which was agreed, voted on and signed off by members via their trade union representatives, Unite the Union. “These changes have now come into effect and as a result some rates have changed. North East Labour MSP Lewis Macdonald said: “It was clear that First was looking to spend less on wages, terms and conditions. “If it is is reducing willingness to do over time then clearly passengers will feel that too.